Imagine a two day conference specially designed to give you the best experience possible - no 300 person ballrooms here! The PTC Conference is designed to do all this and more! This was the best conference that I have ever been to related to the field of fitness and personal training. It covered relevant topics such as training, nutrition, coaching, marketing and self care with a self-directed action plan to put into practice what was learned. I have been to a lot of conferences in my career, but this one was exceptional because the instructors stayed throughout the whole conference to answer any burning questions during the breaks. Additionally, the opportunity for other professionals to share their knowledge and expertise with each other during the conference was an invaluable experience. The PTC team effectively created an environment where continual learning and sharing was possible even after the conference had ended. If you are looking for a place to learn, grow, and connect with other fitness professionals, plan to attend the next Personal Training Collective conference. This is a team with heart. You will be inspired! It's an amazing support system! At the Personal Training Collective I met other like-minded trainers that focus not just on the physics of Personal Training but also the person. We covered topics on nutrition, mental health, biomechanics, and they all interwove into each other just like they do in our clients. I am a heart centered trainer who cares for the person in their totality and the Personal Training Collective does too. Thank you for an amazing conference and an amazing support system. Great job on touching on all the important and most often overlooked areas of personal training. Working on self-care, being present, showing up for our clients and creating a space for them to work through their challenges in a safe non-judgmental environment. It was a good balance between training, nutrition, coaching, and facilitating our own goals and business success. I enjoyed the opportunities to connect with the instructors and trainers to freely share our knowledge and experiences. Best Personal Training conference ever! I appreciate the time provided for communicating with other trainers. This is the best personal training conference I have been to because of everyone working together for the two days and getting to know and feel comfortable/creative around each other. Everyone is eager to share knowledge and feels on the same page. Also, the presenters are very knowledgeable and provide great insight into the many facets involved in personal training, including the physical component, nutrition, business, balancing the often hectic personal life of a business person, and other insights such as trauma that can affect ourselves and our clients. Register Today! Only 20 spots left. We’ve all heard the saying, it’s way easier to keep an existing client than to be out pounding the pavement looking for a new client. So how do you stack the deck in your favor so that more of your clients renew? The answer might surprise you, learn how they learn. When we understand how a person learns we can structure our sessions, and our training, in a way that keeps them coming back for more. Every year there are a few diets or eating plans that seem to take the country by storm - everyone’s doing it. Although not necessarily within your scope of practice, understanding how your clients are choosing to eat, knowing what to expect and coaching them on where and how to find out about better choices is an important part of their success. Michal will go over some of the newest diet trends, their benefits and drawbacks and how to effectively work within your scope and manage the fuelling of your workouts. This workshop will go into a holistic approach to managing the training response so that your client can maximize the S.A.I.D. training principle. Building a high-performance lifestyle for your client will augment what they do in the gym and reduce the risk of overtraining. This means addressing their dream, thinking styles, fuelling routines, moving choices, and sleeping rhythms. This workshop will be in conjunction with Michal Ofer so expect some knowledge bombs, actionable grenades, and some sword piercing suggestions. There’s a reason “exercise more, eat less” doesn’t work for 95% of the population – it’s an overly simplified dogma that is disconnected from the complex world we live in. We can all agree that life is complex, so why do people keep using the same linear thinking to promote healthy lifestyles expecting these will hold up to the complexity and unpredictability of the world we live in? In this session you will explore new strategies to think differently about how you help your clients navigate their most wicked problems and finally achieve consistent, long term changes. You will learn how to see the big intricate picture, and work within that complexity to discover those key leverage points that will have the most impact in improving the lives of your clients – you will become a systems thinker. There’s a lot of talk out there about building resiliency and there’s a TON of information on how to do it. But what strategies seem to work best for Personal Trainers specifically? For the past year The Personal Training Collective has been working with Personal Trainers in the area of building resiliency, and in this session, Brenda and Laura will share with you the most effective strategies that made the biggest difference. 8 out of 10 people will experience low back pain at some point in their life. So essentially everyone! This workshop will work through Brian’s approach to back pain when he works with his own clients. You will learn what things to observe, modify, and teach in your programs both in the gym and outside of it. This workshop will be entertainingly info-packed so expect to be joyfully overwhelmed and filled with learning motivation! This workshop will provide a blueprint when your client’s insufficient back walks through your front door. Do you know what your brand stands for? When you have a strong brand stand - a strong premise – you’re able to get people’s attention in a way that no other marketing strategy can. Period. Knowing and owning your Brand Premise allows you to instantly cut through the noise by getting the attention of your ideal clients AND repelling the non-ideal ones. These conference mini-sessions are each 30 min long and delivered by 3 exceptional members of the Personal Training Collective. Each of these trainers will draw from their unique backgrounds and skillsets to deliver an impactful learning experience. The 2019 PTC Conference is taking place at the Civic Hotel in Surrey. The hotel is beside Surrey City Hall and is easily accessible by skytrain. 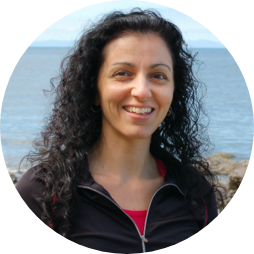 Brenda earned a bachelor’s degree in kinesiology from Simon Fraser University, which means she spent four (okay, maybe six) years studying the human body and how it functions.She's also a Certified Professional Co-Active Coach (a life coach). And finally, she has her master’s degree in adult education.So her knowledge about the human body, combined with the tools she's acquired as a life coach, and her understanding of how adults learn best, are the reasons why she's the one to do this work.From the experience side of things, Brenda has been a fitness professional for over 23 years. In that time she has had the opportunity to work for provincial fitness organizations, to chair the National Fitness Leadership Alliance and to run one of the largest fitness centres in Canada.One of her greatest passions is teaching. Whether it be a fitness theory course or a Personal Training Course. 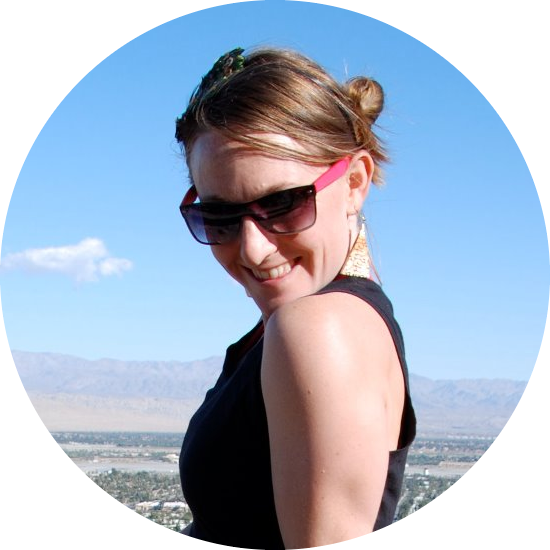 She thrives on taking knowledge and making it easy for people to learn and understand. Brian is currently a Kinesiology Instructor at the University of the Fraser Valley in Abbotsford and Chilliwack BC. He earned his Masters and Bachelor degrees from the University of British Columbia. Brian’s areas of concentration are exercise physiology, strength and conditioning, injury management, and exercise testing and prescription.He is a Certified Exercise Physiologist (CEP) through CSEP. Additionally Brian is an NSCA Certified Strength and Conditioning Specialist, CSEP- Certified Personal Trainer, CHEK Level 1 Practitioner (Corrective Holistic Exercise Kinesiologist) , CHEK Holistic Lifestyle Coach Level 2, Functional Movement Screen Level 1 specialist, Somatic Exercise Coach, and NASM Performance Enhancement and Corrective Exercise Specialist.Brian’s clientele has ranged from post-rehabilitation to recreational and varsity athletes and everything in between. Besides teaching students and training clients, he currently authors manuals and articles. He has contributed to 4 chapters in Human Kinetics Publisher’s book Foundations of Professional Personal Training and 3 chapters in CSEP’s Health-related Exercise Prescription for the Qualified Exercise Professional 1st Edition (in press).Currently, he is finishing up his first book entitled Therapeutic Physical Assessment and Training. Brian is passionate about spreading the word on the benefits of physical activity for health, performance, and injury prevention.